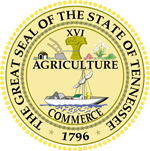 Tennessee's current state law prevents municipal electric utilities that offer Internet access and/or video within their electric service area to expand beyond those geographical limits. These new bills propose removing the restrictions; they also contain a clause that would require expanding municipal electric utilities to obtain permission from other munis or cooperatives that already operate in the areas in which they plan to expand. Bowling, a Republican from Tullahoma, has fought for several years to bring back authority to local communities. She’s a Tennessee elected official who is taking the lead on pushing smart policy that will improve connectivity in rural areas of the state. Bowling's own community owns a municipal network, LightTUBe, and Tullahoma has benefited while other rural areas have continued to suffer. SB 0301 and its companion HB 0950, introduced by Ferrell Haile and Art Swann, respectively, allows electric cooperatives to offer high-quality Internet access, but limits them to areas where no other private providers are already operating. Terri Lynn Weaver is also signed on to HB 0950. Sustainable & Equitable Agricultural Development is a group out of Tennessee that has established a Rural Broadband Campaign. They’ve put together a list and quick summary of current relevant legislation and even established a way for constituents to easily contact Legislators to express their opinions.